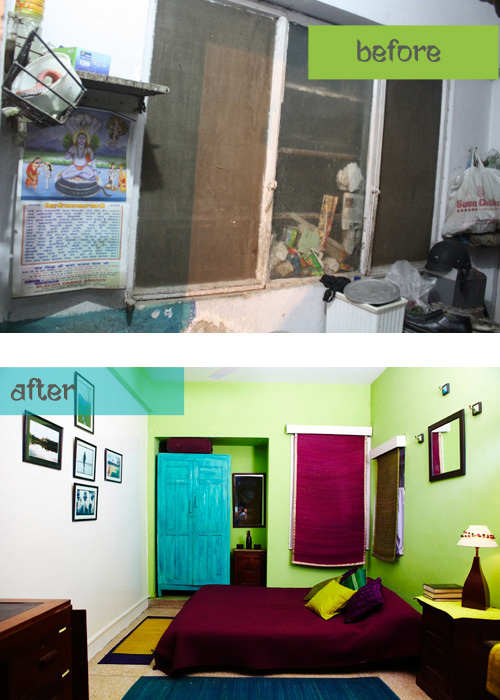 For all you home makeover connoisseurs who ogle at before-after pictures endlessly (like me! 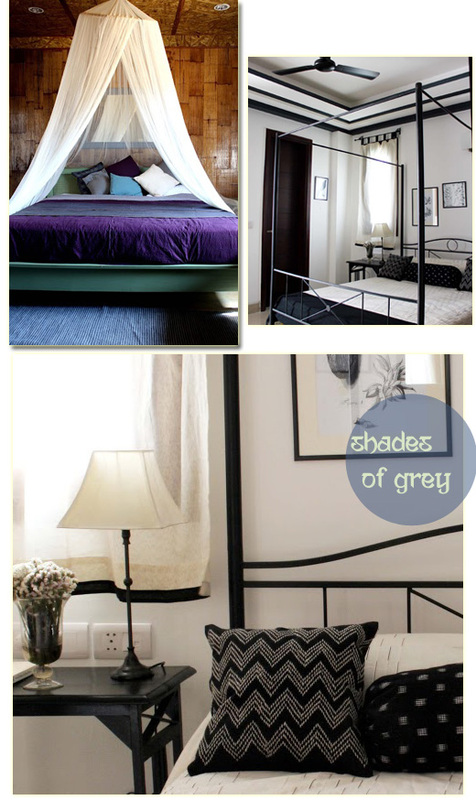 ), the name Shivani Dogra should flash the famous pictures of her Delhi pad in your mind. Even if her name doesn’t ring a bell, this picture should! Ever since I read about her little renovation project on a budget in BBC GoodHomes, I’ve associated her style with simplicity, uniqueness, use of natural fabric, and the right dose of color. 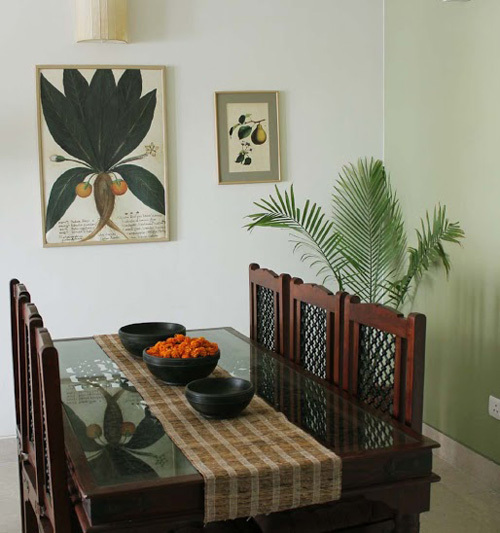 Shivani talks about her design mantra, where she finds her great finds, what projects she undertakes and more. 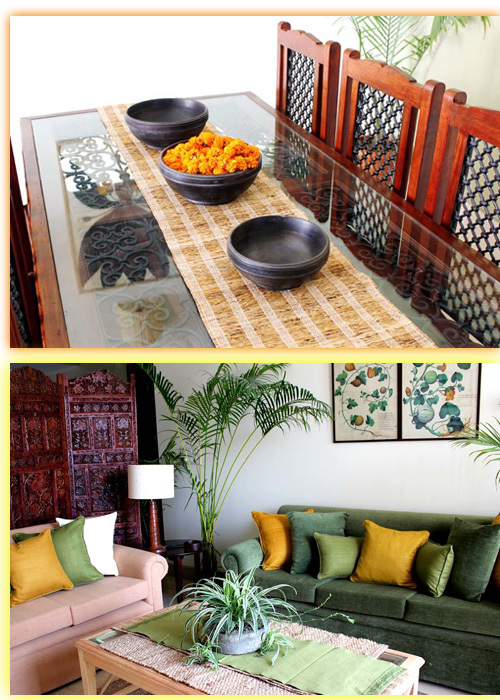 Read on..
It’s been three years since she transitioned into the world of interiors after moving from Mumbai to Delhi. It’s a delight to take a glimpse at some of her new projects. 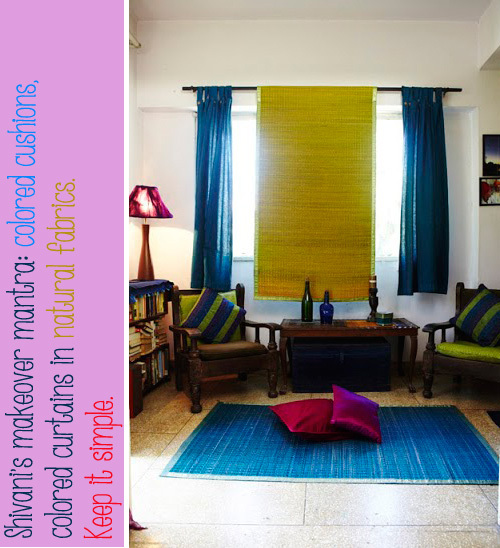 Indian interiors are often associated with a liberal use of color so much so that at times it gets monotonous. 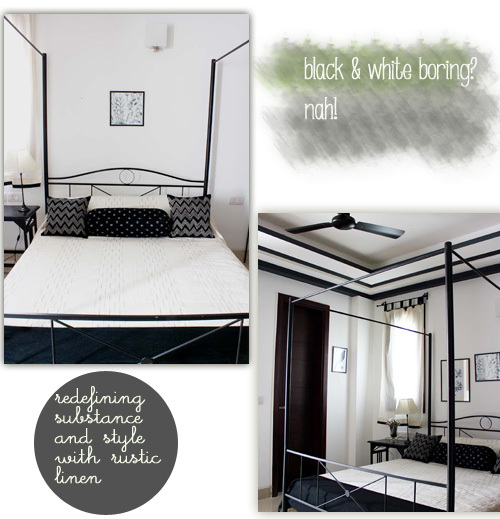 So, this black and white space feels downright fresh to me. Her design mantra: Choose fabrics that match in texture and color tones. For instance, if you’re going natural then see to it that all the pieces look hand done or have rougher edges even if they’re mill made. If you have a piece of fabric that has a lot of colors, use it on a chair or tow perhaps and may be the curtains, but make sure the rest of the upholstery room is simple and draws its colors from that piece. Her love for fabrics is evident in all the pictures. She says, ” I love Ikats in bright colours but am still waiting for an opportunity to use them. I love Indian handwoven textiles from all over the country- they’re unique and part of our heritage. 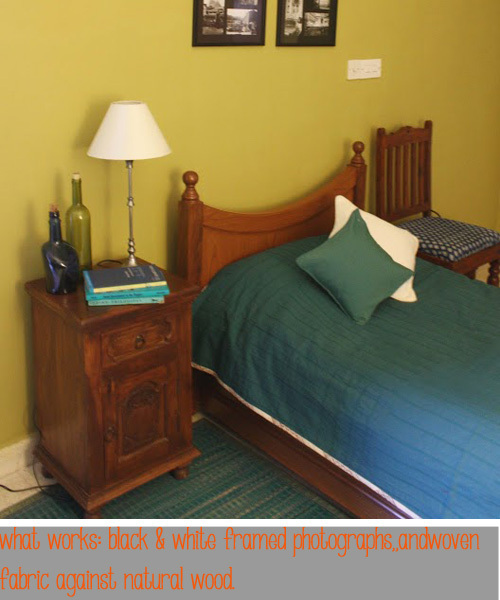 In a country where old houses are giving way to flats and the furnishings used in the new places are imitation western, where money is spent blindly on what builders and contractors think is stylish, it’s important to realize that with a little effort and imagination you can have a flat that’s different as you are. Your home or office should be a place of beauty that you’re comfortable spending time in- an extension of who you are. This is what I try and achieve for every client that I work with. No two spaces are similar because no two clients are similar. I could dole out loads of advice here – but I think I should stop:). I love shopping in the old markets of cities and small inconspicuous stores.” How thoughtful! Very well done. Beautiful transformation. Suggest where can I buy the colorful mats. Online links are also helpful. Also am looking for tips from you. 1. I love dokra frames. I want to use them in my sofas. Pls suggest some ideas for that.